A loan of $550 helped to buy fixed assets (sowing machine) and supplies at wholesale (wires, springs, and fabric). María, at 45-years-old is a mother of 2 children and the head of the household since her husband abandoned her. She has been working 10 years making crafts either by hand or with a sewing machine. She makes several items like quilts, blankets, bags, headbands and other things. She learned her type of work by experience with trial and error and gradually improved her technique. This allowed her to generate enough resources to meet the basic needs of her home. Her positive attitude, commitment, and dedication have led her to overcome hardships. However, she struggles every day but is more eager to give the best to her children. She is applying for the loan with the purpose to buy fixed assets (a sewing machine) and supplies at wholesale (wires, springs, and fabric). This way, she will be able to improve her production time and make it easier to make her products. This will positively affect the input of her economic resources, the carrying out of product sales. 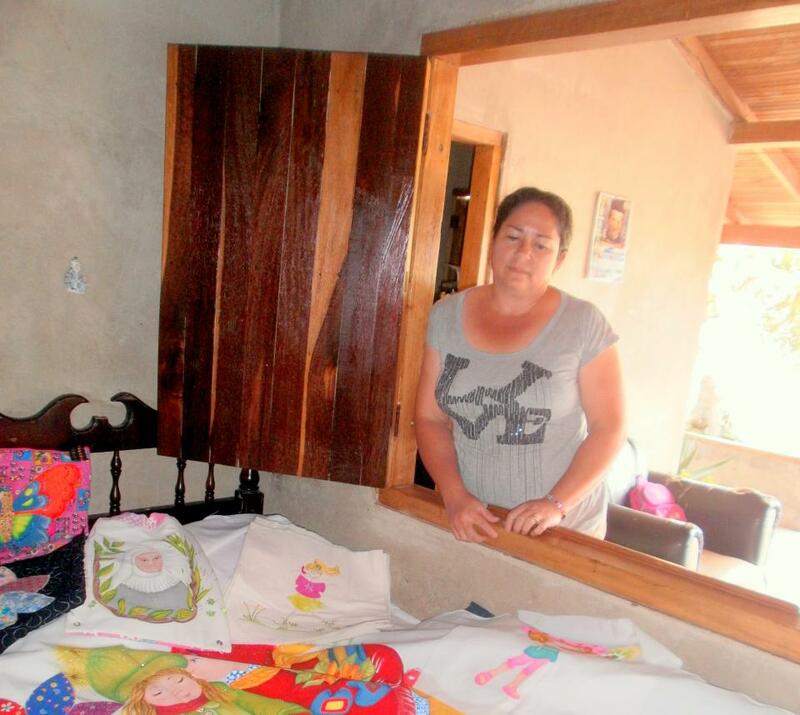 Maria dreams of enhancing and growing her business so that it would be more profitable and allow her to have a favorable economic stability to address basic needs and provide a better education for her children. Translated from Spanish by Kiva volunteer Adam Marske. View original language description. María, a sus 45 años de edad, es madre de 2 hijos y cabeza de hogar desde que esposo la abandonó. Se ha dedicado durante 10 años a elaborar artesanías tanto manualmente como con máquina de coser, hace diversos artículos como acolchados, sábanas, bolsos, balacas y otros; la actividad la aprendió de manera empírica con el método de prueba/error y, poco a poco fue mejorando su técnica; de esta manera ha generado los recursos suficientes para suplir las necesidades básicas de su hogar. Su actitud positiva, su empeño y dedicación la han llevado a sobrepasar duras pruebas, sin embargo cada día lucha con más ganas para dar lo mejor a sus hijos. Solicita el crédito con el fin de comprar activo fijo (máquina de coser) e insumos al por mayor (hilos, resortes, tela), de esta forma podrá mejorar el tiempo de producción y facilitará la elaboración de sus productos, lo que afectará positivamente la entrada de recursos económicos, producto de las ventas realizadas. María sueña con fortalecer y hacer crecer su negocio, para que sea más rentable y le permita tener una estabilidad económica favorable, para solventar las necesidades básicas y dar una mejor educación a sus hijos.